Twitter is built for immediacy. While platforms like Messenger might offer more sophisticated automation tools and might have more users with push notifications enabled, Twitter’s culture is all about fast posting and of-the-moment conversation. It’s also much more real-time than other networks like Facebook, where the newsfeeds are more powerfully influenced by algorithms. Tweets have longer shelf lives. Content posted on Twitter is indexed by Google, and running advanced search queries for sentiment analysis purposes is relatively easy. Velocity loosens lips. 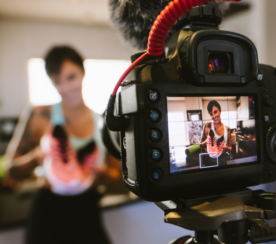 People don’t seem to “filter themselves” as much here, so you’re likely to get a better glimpse of your customers’ true thoughts and desires than on LinkedIn, Instagram or Facebook. That’s the beauty of social media customer service – you can talk to customers easily and in real time, building better relationships with them as individuals and boosting your online reputation while still making the most of the asset that is their feedback. What’s more, having an active support presence on Twitter pays off. 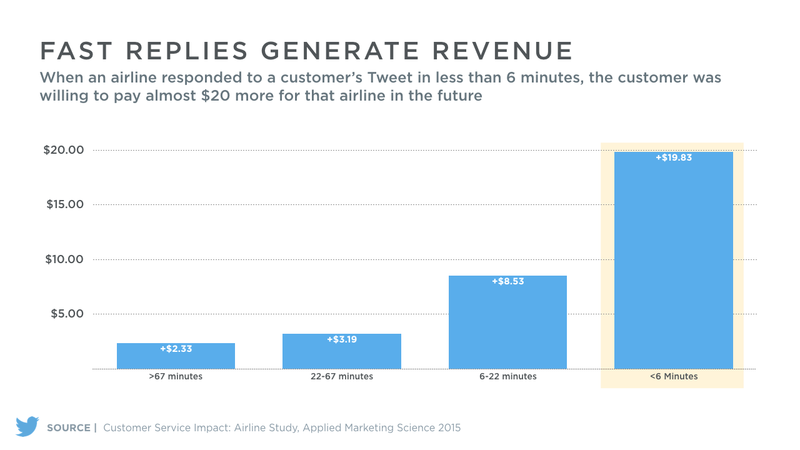 A 2015 study by Twitter, in partnership with Applied Marketing Science, found that airline customers who received prompt support responses via Twitter were more likely to recommend the airline to others and even to spend more on subsequent purchases with the airline. To make the most of this all, you just need to know where to find the insights on Twitter, and how to use them in a customer feedback loop that will improve the experience for all customers and improve your products and systems. Let’s take a look at some especially potent and efficient ways to find and use customer feedback published 140 characters at a time. Twitter can be a gold mine for discovering customer problems, points of confusion and other important experiences you can learn from. 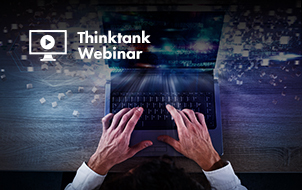 Not only can you jump in and solve the problem, but you can also use it to understand your audience’s experiences with your business and make strategic improvements. 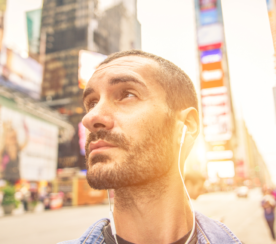 For example, Fitbit combined customer listening with a custom system to incorporate customer feedback into product and services, as Director of Community Allison Leahy explained on the Focus on Customer Service podcast. Here, social posts get automatically tagged based on keywords and type of input. Customers are also pointed to a Features Suggestions board on the brand’s official community portal, which is reviewed regularly by their product teams. These systems make it easier to help customers and actually use their opinions. You can also use listening tools to create templates or automations for answering customer questions based on frequent queries. For example, you can incorporate canned responses for interactions such as seeking out more feedback via direct message or asking for a shipping tracking number. In addition to saving time on certain steps of the support process, other steps, particularly very repetitive or tedious tasks like answering frequently asked questions, can be fully automated. 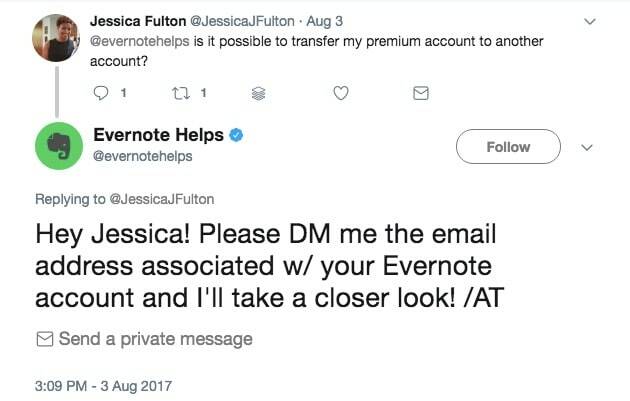 Going back to the Evernote example, this company’s support team also commonly moves conversations to direct message, where they use Twitter’s welcome messages and quick reply automation to get to the root of the problem. Since 42 percent of consumers contacting brands on social expect a response within 60 minutes, automation can save time crucial to customer happiness and retention. There are many benefits to automating parts of your support beyond the immediate time saved on that task. In the longer term, it organizes feedback for your product teams and other departments to analyze and incorporate. 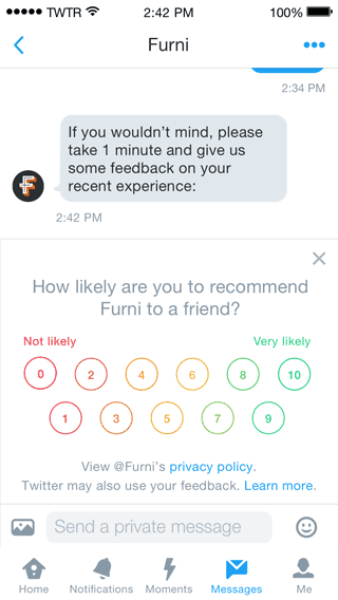 Twitter’s DM quick replies can even collect a net promoter score (NPS) rating and integrate with Zapier to either continue the support conversation or send the data to another tool, for analysis over time or for triggering message drips aimed at increasing customer delight. You can also collect and analyze any conversation, whether or not you’re using Twitter’s official support features. 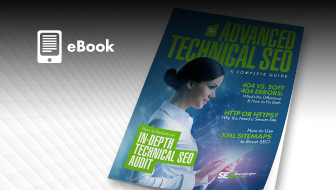 Advanced social listening tools like SentiOne can even turn these signals into useful automated dashboards and reports that make it easy to track brand reputation and social footprint over time. 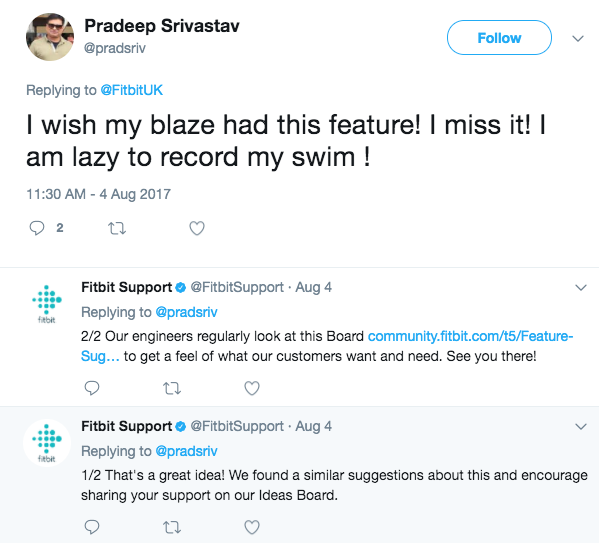 Another way Twitter can improve your customer feedback loop is by streamlining some of your different customer feedback channels. Between multiple social channels, website chat, call centers and email, helpful feedback can come from a number of places, and it can be hard to keep track of it all holistically. 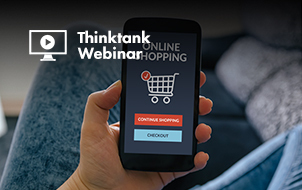 Diversifying the number of channels in which you are available to receive customer feedback helps develop a sense that you’re customer-focused. And merging it all via a centralized service hub can make the overall process easier to manage. Twitter even offers its own easy tool to embed a button on your website with a call-to-action to direct message you. 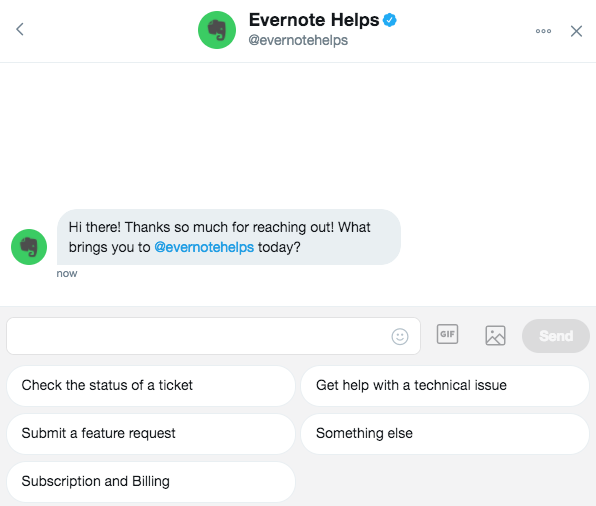 Instead of linking to a support contact form on every page of your site, or using a separate live chat, this pushes customers into an automated social support system like those described above. Last year, Microsoft found that according to 39 percent of customers, the best way to deliver a satisfying service experience is to make sure people never have to repeat themselves to multiple representatives. 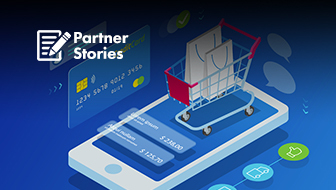 By allowing customers to contact you from multiple places, while merging it all into the same customer support funnel, it’s easier for you to keep the conversation organized, nonrepetitive and personalized. So far we’ve mainly talked about direct messaging, but a lot of customer feedback and support happens “out in the open,” through mentions. Since these types of tweets may not all warrant responses, therefore being irrelevant to your multi-channel support system, it’s helpful to have a separate way to track and analyze mentions. 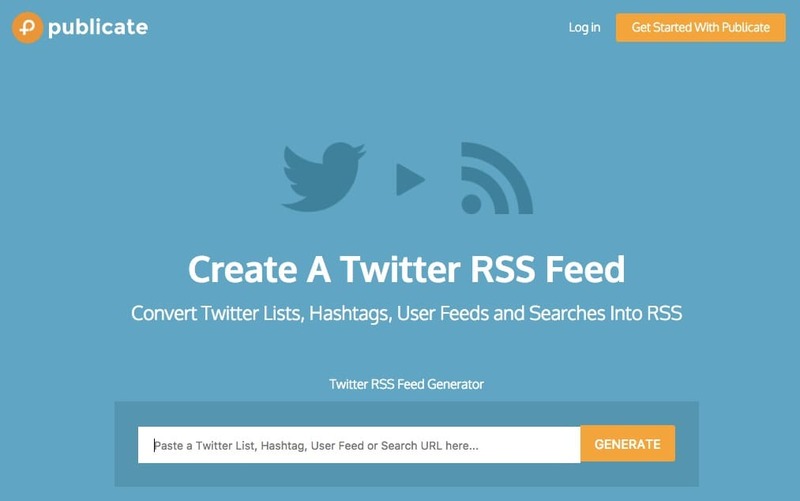 For example, you can use Publicate’s Twitter search-driven RSS feed creator to subscribe to mentions of your handle, product names or industry keywords – or even your own support account’s conversations. You can then view these in your RSS reader to review feedback and use Zapier to forward anything insightful, important, or requiring a reply to your larger feedback loop. Finally, we’ve yet to address going out and soliciting feedback from your audience and customers. But don’t just wait for people to come to you with feedback. Instead, try to start conversations and use Twitter as a public forum or chat to initiate conversations with customers. This could be as simple as a Twitter poll to learn more about your customers’ preferences. They’re quick and simple yet can be surprisingly insightful. You can solicit feedback via mention tweets, DMs, or even custom audience ads. 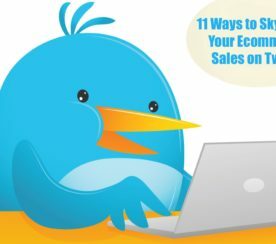 Twitter Ads are most commonly used for customer acquisition, but they’re also great for reaching your existing customer base. 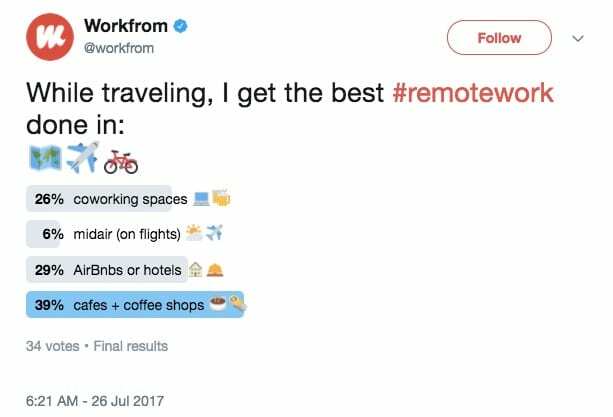 In this example, Workfrom just learned a key insight about their audience of remote workers. Knowing the workspace preferences of their community can help them tailor features for their remote work spot search. To get more in-depth insights, you could hold a Twitter chat or roundtable to bring customers together and ask about their opinions and experiences. For easy management of Twitter chats, the free TweetChat app automatically appends chat-specific hashtags, organizes multiple chats into handy “rooms” and allows community moderators to bookmark specific comments for later follow-up. And in addition to starting conversations with your customers, you can monitor brand keywords for people talking about you but not “to” you and reach out where there’s an opportunity to help and learn more about improving that customer experience. Customers often air their unfiltered opinions and experiences out in the open. It’s advantageous to every part of your business to make the most of this opportunity, learn what people want from all areas of your company, and apply it. It’s no longer enough to tweet back and be clever. You need to strategically apply those conversations to business improvements. 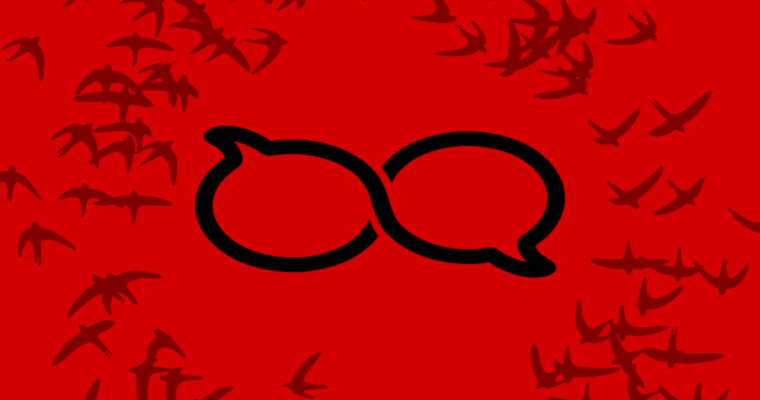 Integrate Twitter into your larger customer feedback loop. Featured Image created by Ben Jacobson, August 2017. Support reply ROI chart via Twitter.